Ageing skin is an evolutionary process that can be traced back to a multitude of micro-changes which occur slowly, first at cellular level and then gradually, to the extracellular matrix, involving the integrity of the tissue. This leads to obvious wrinkles in different areas of the face, a loss of volume in the fatty tissues of the face and often, radical changes to expression. 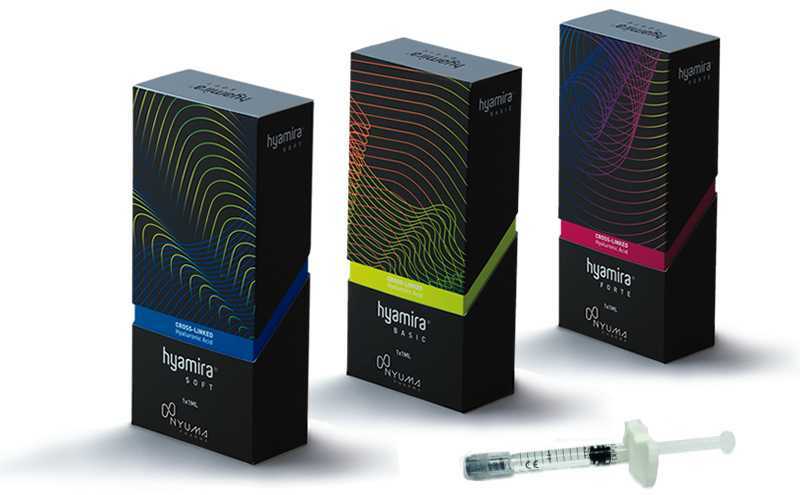 All this can be countered gradually, naturally and with the certainty of persistent action, thanks to HYAMIRA® – THE HA TRIGGER SYSTEM. Surface lines such as around the eyes, mouth, and glabella. Wrinkles on nose-cheek area, lips, brow, tear trough, temples. Restoration of facial volumes and remoulding of areas such as cheekbones, chin, nose and lips.